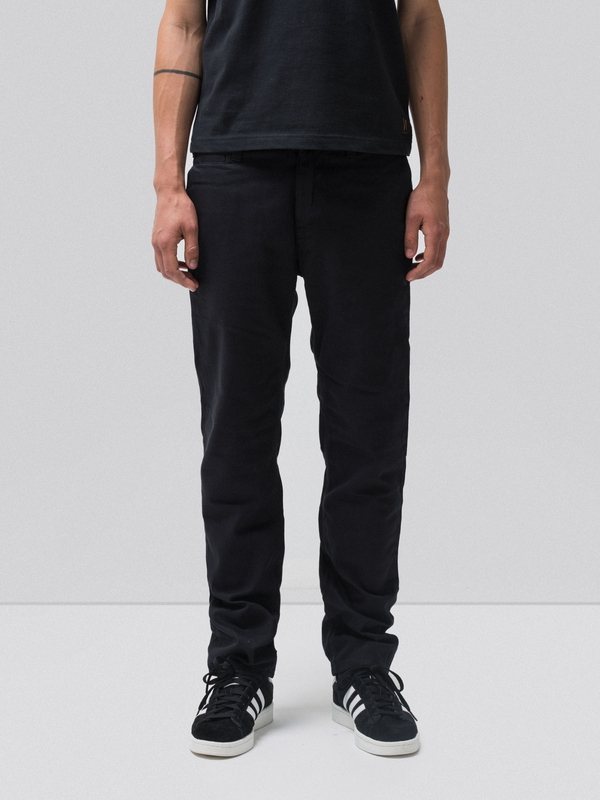 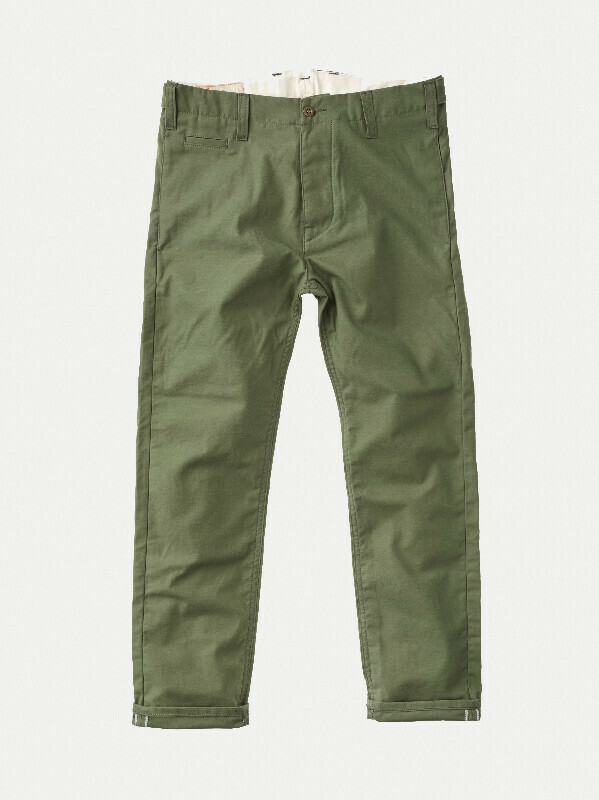 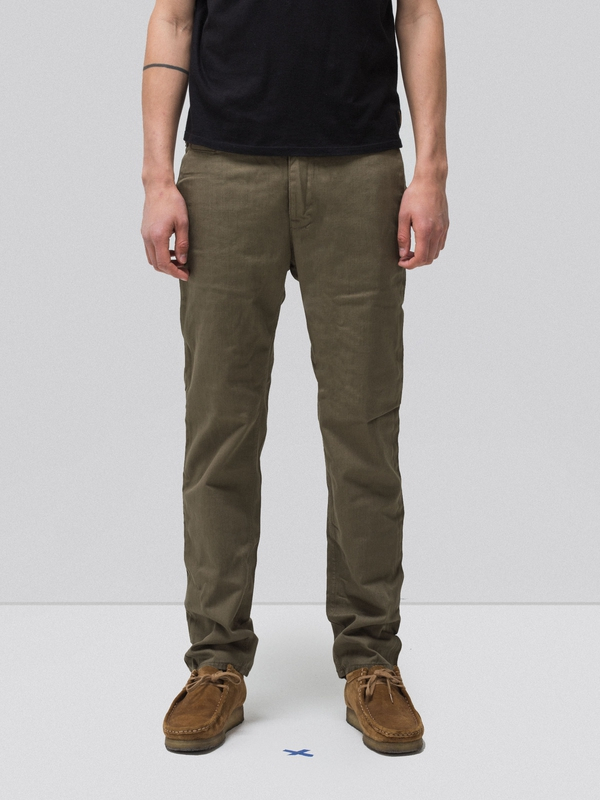 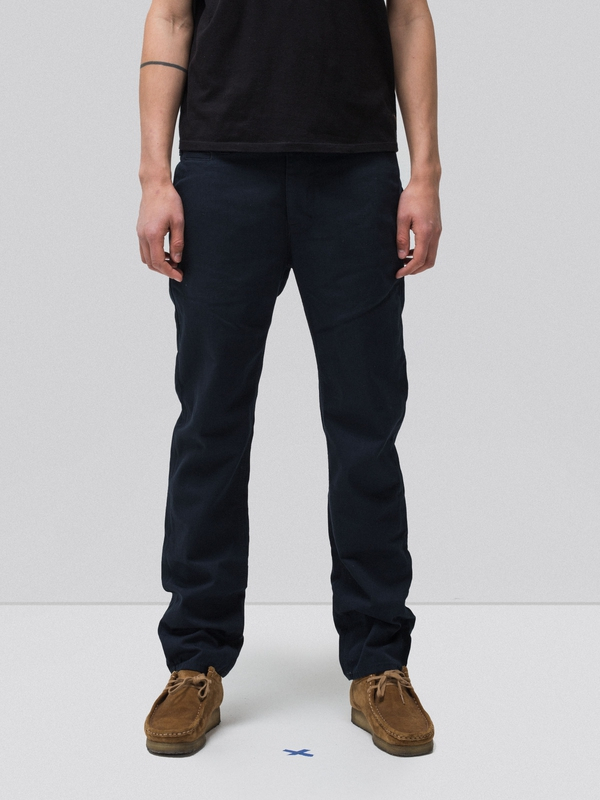 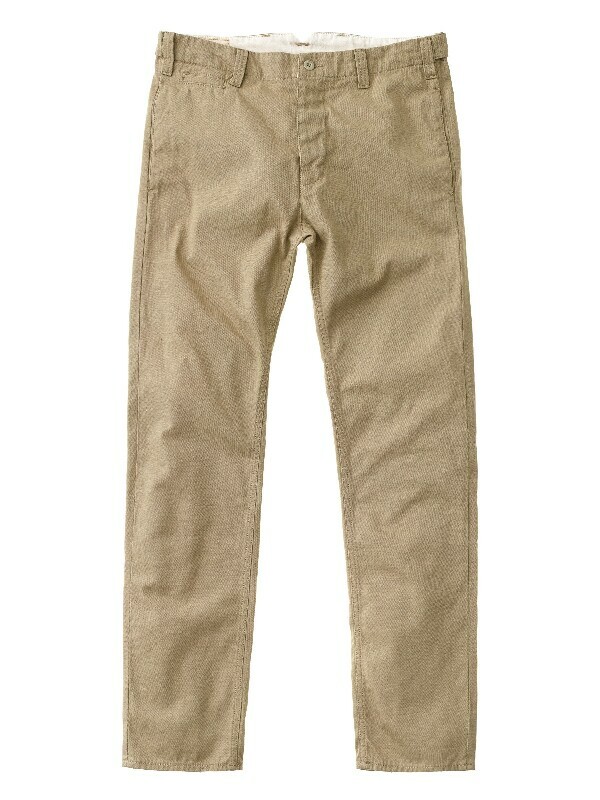 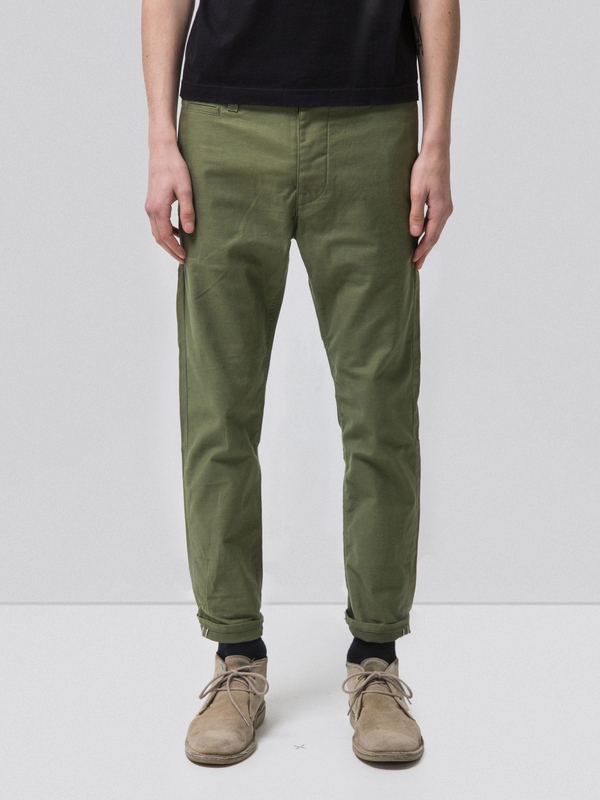 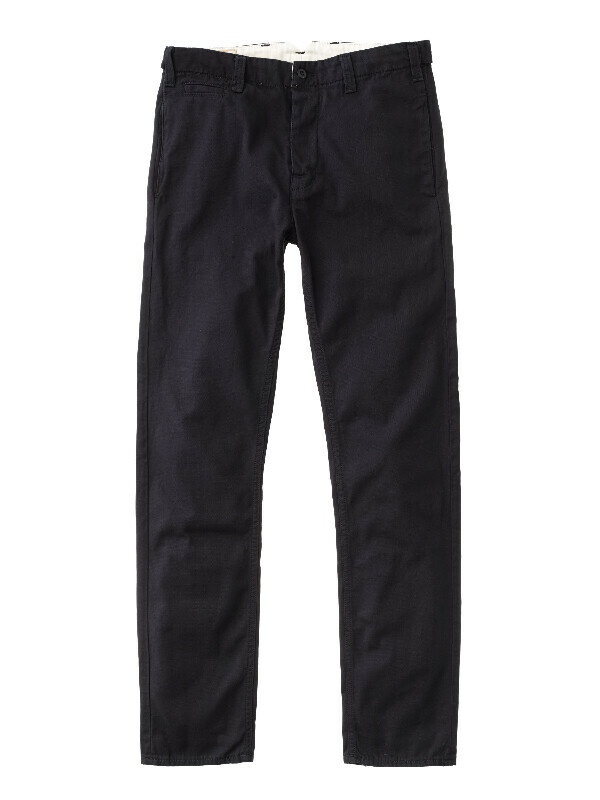 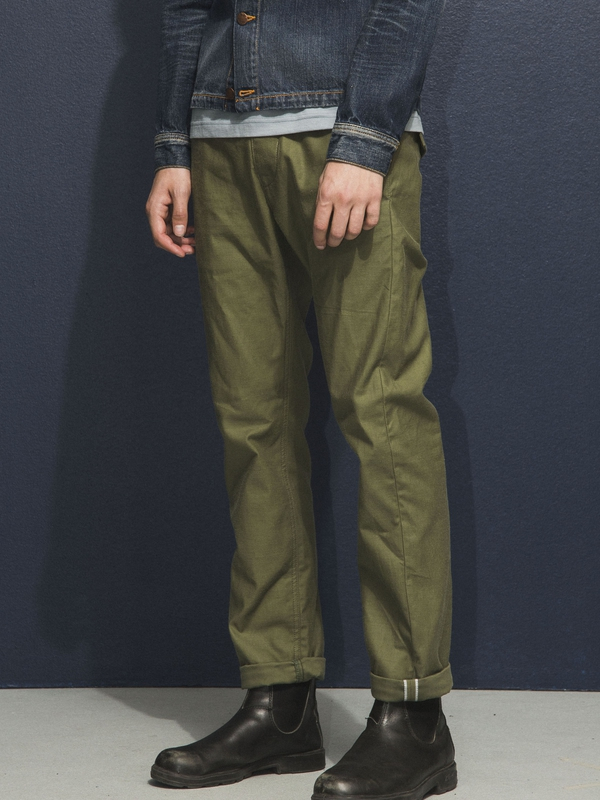 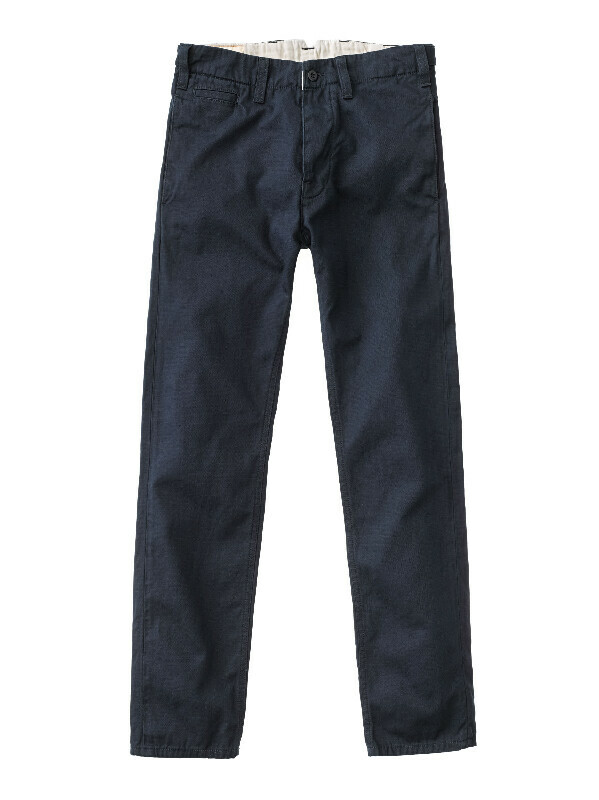 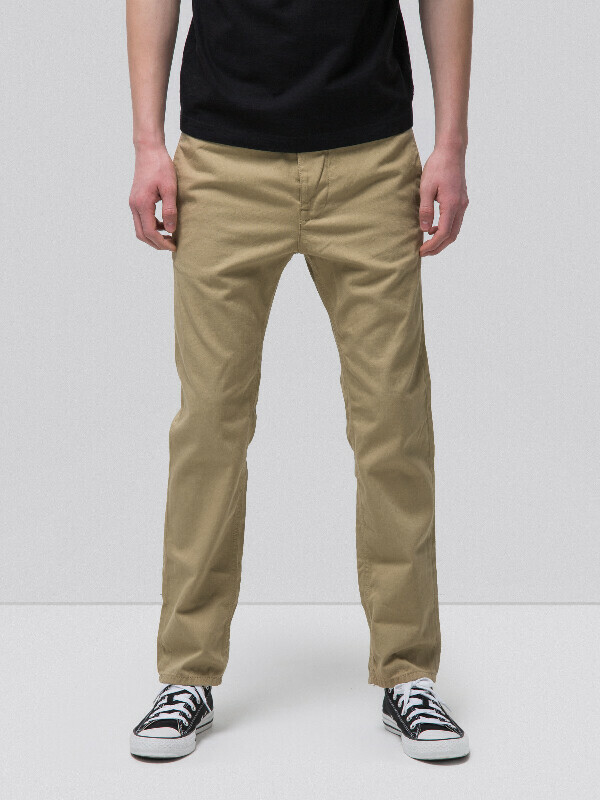 Four-pocket chinos with workwear cut made in a beautiful selvage sateen from Japan. 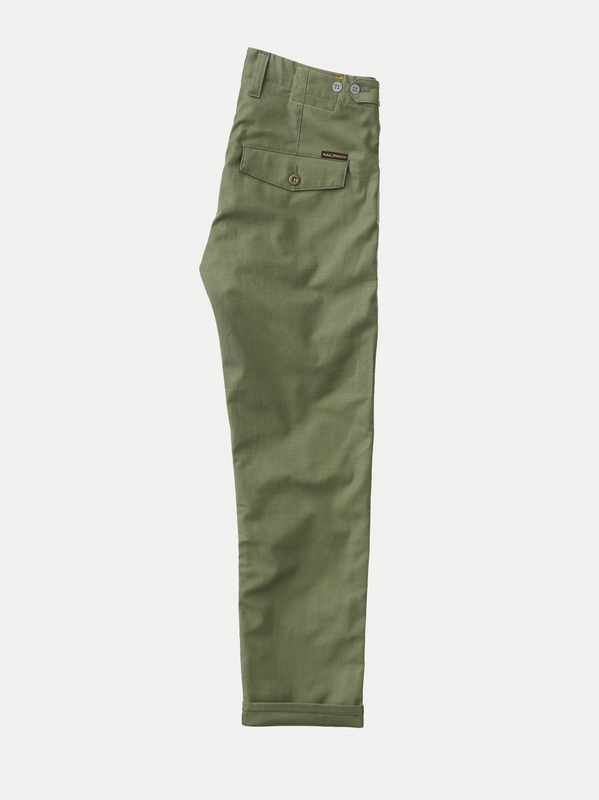 They feature straps at waist for adjusting the width and a small welt coin pocket. 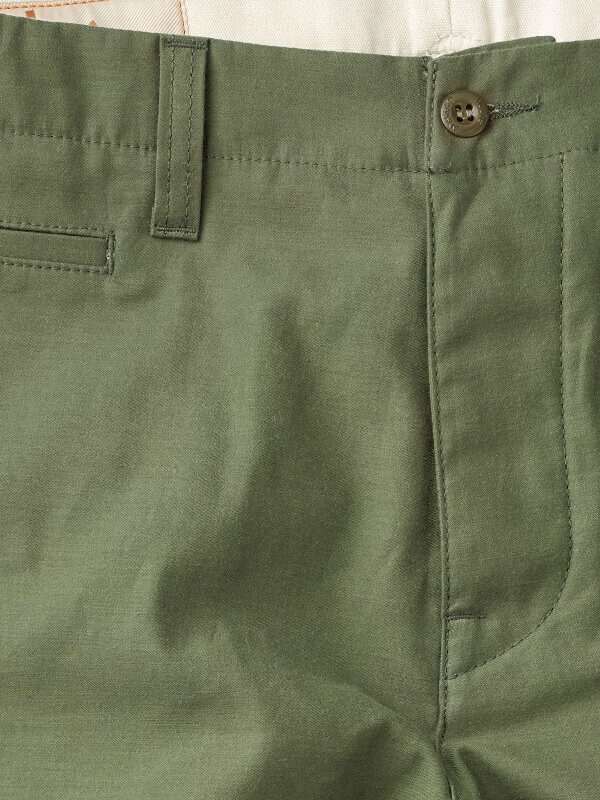 The inside is neatly finished with ecru canvas for pocket bags, fly lining and waist facing. 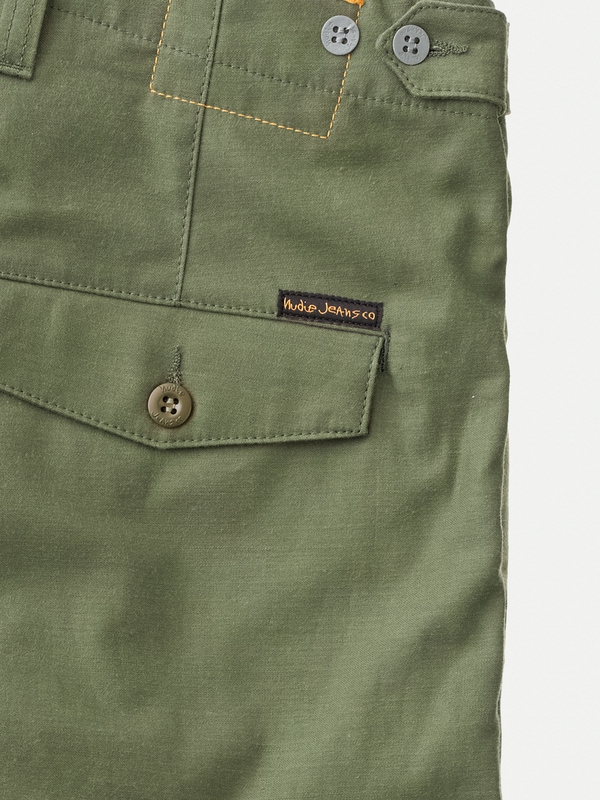 Textile logo patch inside waistband. 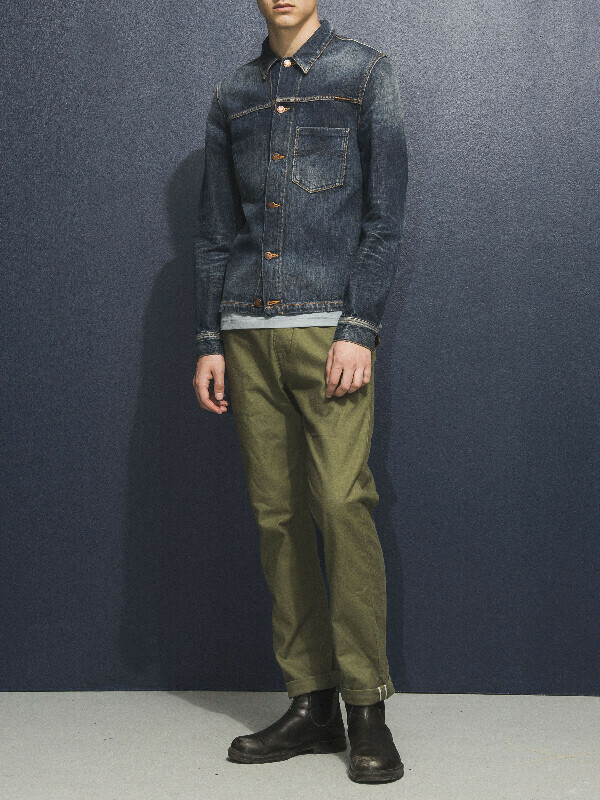 There's also a print: in the beginning there was canvas, then they invented denim. 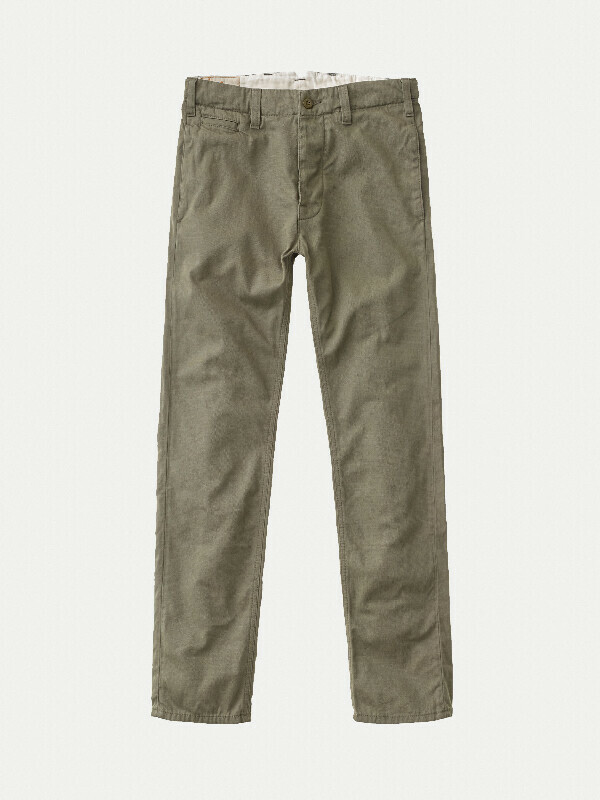 These ones are dry.